Critical Thinking Blog: All Opinions Are Not Equal: Life. Liberty. And the Pursuit. 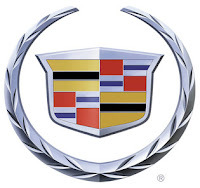 Cadillac's new slogan, and the most essential phrase from the Declaration of Independence got me thinking. What are our rights? We have a bill of rights that expands on this idea, and makes sure to clarify ones that people might claim are not either "life", "freedom", or... "freedom". But, I don't find "jobs" on there. Or "healthcare". Or a "living wage." Doesn't mean there shouldn't be. But, there isn't. And there's something very beautiful about "the pursuit" that we might be missing. On vacation 'til Tuesday. Enjoy the long weekend.